CRAZY 1961 celebrates the extraordinary year that saw the first man orbiting the earth in outer space (not to mention the first monkey! ), the first performance of The Beatles, the inauguration of President Kennedy, Barbra Streisand's first TV appearance and Judy Garland's big comeback concert at Carnegie Hall. The Berlin Wall was built that year, the Freedom Riders rode that year and many famous people were born that year including Barack Obama, Princess Diana and... oh yes! 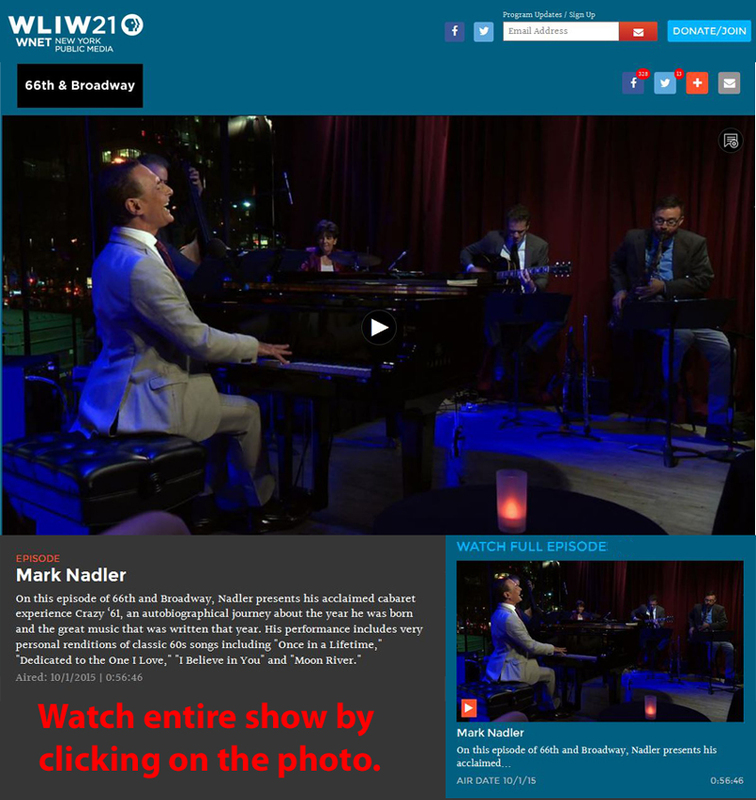 Mark Nadler. This show is a celebration of all of these events and more fleshed out in the glorious catalog of songs written in '61; songs that include "Crazy", "Moon River", "Once In A Lifetime" and, appropriately, "It Was A Very Good Year". In fact there are so many beloved songs from 1961, that the show ends with a show-stopping medley of 50 hits from that auspicious year!! 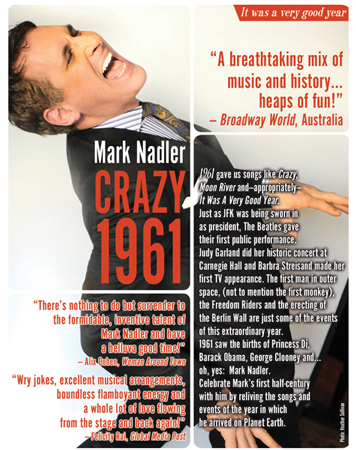 CRAZY 1961 is performed with guitar, drum, bass, reeds and, of course, Mark at the piano!